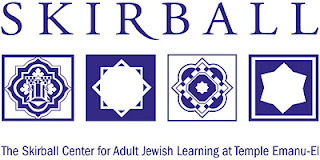 Skirball Center of Adult Jewish Learning. 1 East 65th Street New York, NY 10065. (212) 507-9580. The Skirball Center for Adult Jewish Learning at Temple Emanu-El, NYC, in collaboration with the Jewish Art Salon is pleased to host an International Artists Session with Jacqueline Nicholls (Great Britain) and Ken Goldman (Israel). Moderated by Tobi Kahn. 7:30 - 8:30PM The artists will show and discuss their work and answer questions. Session starts at 7:30 sharp, March 12th. 8:30 - 9:00PM Meet & greet. "My art is filled with insider references innuendos and humor. While at times seemingly irreverent - the works are inspired by and react to; traditional texts, rituals, services and holidays. 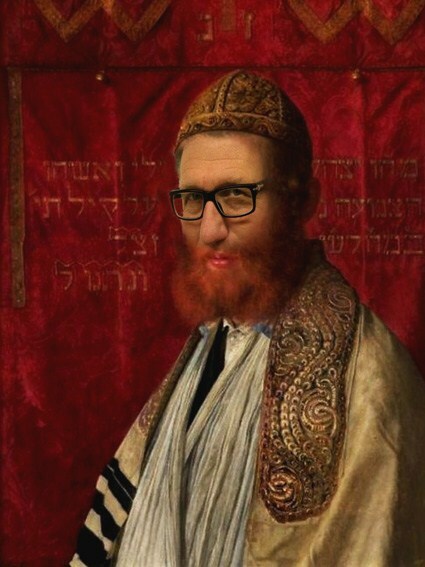 Looking back it seems that I have spent much of my life re-evaluating, and taking liberties with the role, purpose and forms of traditional Judaica/ Jewish arts. Creating art provides me with the opportunity to explore, test and express my; connection, commitment, frustration, as well as love of Judaism. While researching texts, exploring new materials , methods , and forms – I strive to make Judaism more relevant to my life. I see my art as a vehicle for: promoting dialogue, a catalyst for provoking people into re-evaluating their preconceptions, and a medium for breaking down stereotypes. I recently exhibited at the Mishkan LeOmanut at Ein Harod in the show Zimmun." Tobi Kahn's work has been shown in over 60 solo exhibitions since he was included in the 1985 Guggenheim Museum exhibition, New Horizons in American Art. Among his traveling solo museum exhibitions are Tobi Kahn: Metamorphoses, Avoda: Objects of the Spirit, an exhibition of his Jewish ceremonial art, Microcosmos and Sky and Water paintings. Objects of the Spirit: Ritual and the Art of Tobi Kahn, a book about Kahn's ceremonial art was published in 2004. Kahn was the recipient of the National Foundation for Jewish Culture's Cultural Achievement Award in the Visual Arts in 2004. For twenty-eight years he has taught at The School of Visual Arts, designed art curriculum for several New York City high schools, and co-founded and continues to facilitate with Rabbi Leon Morris the Artists'Beit Midrash at the Skirball Center of Temple Emanu-El. Currently, Kahn is the first Artist-in-Residence at the Jewish Theological Seminary. 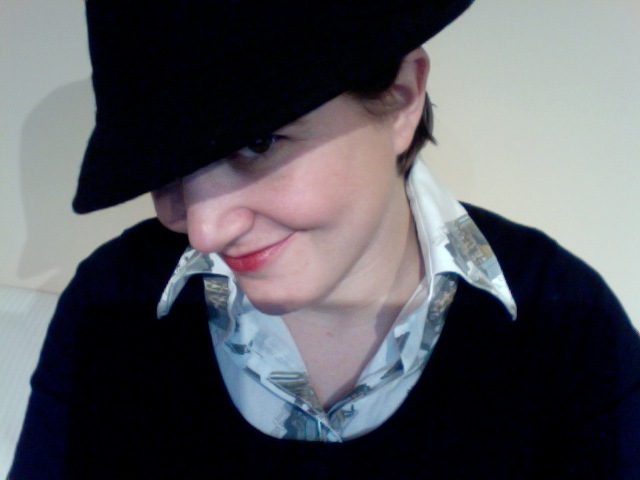 Jacqueline Nicholls is a London- based fine artist and Jewish educator. Her art challenges and explores traditional jewish ideas in untraditional ways. She uses many different media and craft techniques - drawings, print, embroidery, tailoring, paper-cutting, knitting - to express the concepts. She sees her work as a bringing together of the art studio and the beit midrash (traditional Jewish place of study and learning). Jacqueline is also involved in adult Jewish Education. She teaches Tanach at the London School of Jewish Studies, and has volunteered for many years with Limmud, specifically with the programming of the events. Jacqueline's artwork has been exhibited in various exhibitions the UK, Israel and America. And it has appeared in Lilith, Granta, Ha'aretz, Zeek and The Forward. Her current project 'The Kittel Collection' a series that explore the many ways clothing is used as a metaphor for meaning and identity with the Jewish tradition, is being featured monthly on the Sisterhood blog for The Forward.